Earlier today, Miami Heat elder statesmen Udonis Haslem and Dwyane Wade shared a workout photo with their younger teammates last season. Both three-time NBA champions (2006, 2012, 2013), Wade and Haslem were yet to be re-signed by their maiden team as of posting. A few hours later, word came that the 12-time All-Star has agreed to a one-year deal with the Heat, after which he will hang up his boots—hopefully those odd-looking Li-Ning pairs. 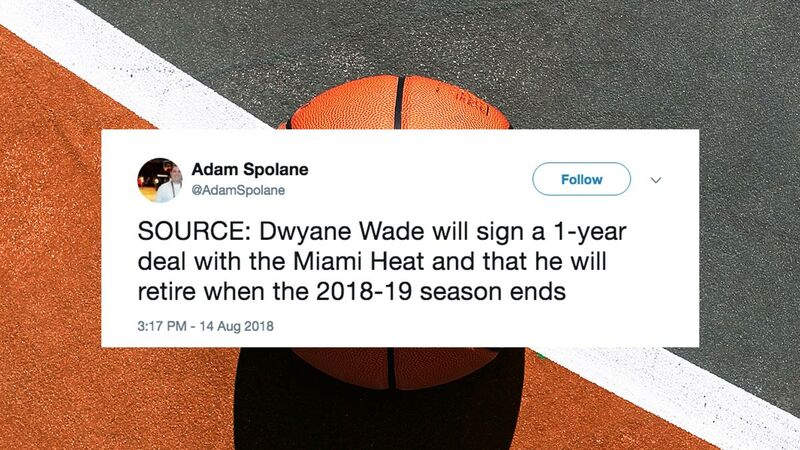 A couple of days ago, Wade declared: "If I'm playing the game of basketball this year, it'll be in a Miami uniform," following rumors of a Chinese invasion. Before anyone from his camp can even confirm the move, Heat and basketball fans already had mixed emotions—but mostly positive—about the encouraging development. Here's hoping Haslem would be next so he could join his long-time teammate.